Foot Injuries and Heel Pains. "High Impact Stabilizer medical grade foot insole distributes pressure from heel to metatarsal area. Transfers body weight from heel to big toe with optimum cushioning & comfort. 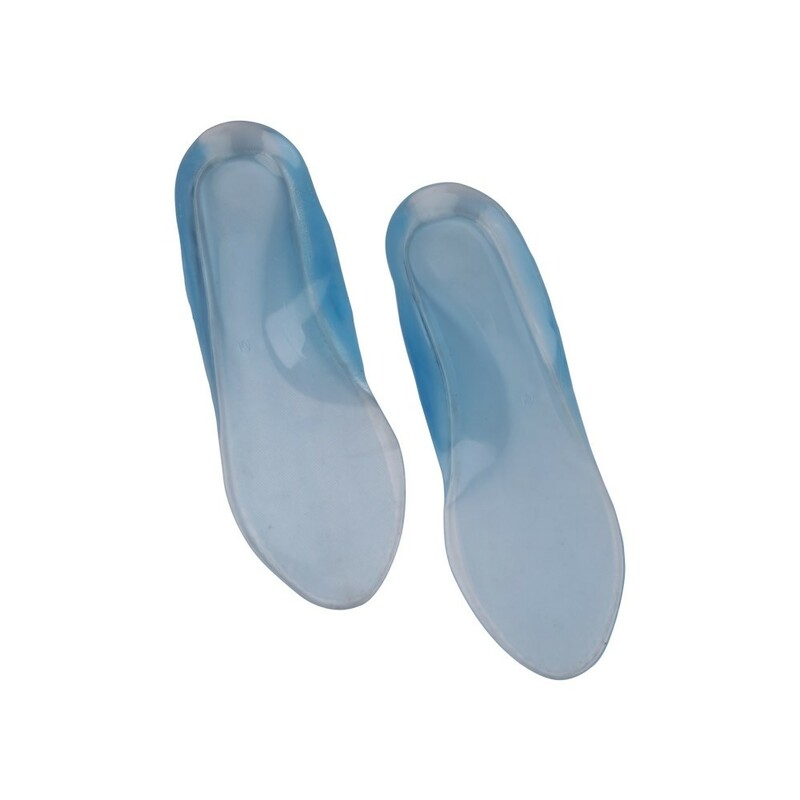 Extremely durable, non-slip grip and ideal for safeguarding diabetic sensitive feet. Hypoallergenic, odourless, promotes quicker healing. Extremely soft, preventing friction in affected areas & doesn’t get warmer than body temperature. Support to the ankle bone, hip, back, and spine prevents loss of alignment. Excellent shock absorption causes blood flow to increase due to elastomeric impact. Does not tear, will not bottom out, and conforms to bony prominences. Non-toxic and inert in nature, relief from footprints. Easy to use after cleaning with mild shampoo and talcum powder. Easy to insert in any shoe, sandal, and footwear. Indication: • Diabetic Sensitive Foot • Foot Injuries and Heel Pains • Arthritis Pain (Knee, Ankles, Hip and Spine) • Plantar Fasciitis & Achilles Tendonitis"